The General Gymnastics county qualifiers for Level 1 and 2 took place at Redbourn Leisure Centre on Sunday 29 April 2018. 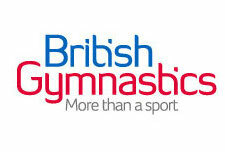 Congratulations to all the gymnasts who took part in this individual apparatus competition. The top three on each apparatus at each age level will go on to the Regional Finals which are at Pipers Vale Gymnastics Club in Ipswich on 3 June 2018.